Your message will be sent directly to Mel Cordray. We do our best to be timely, so thank you for your patience while your correspondence is answered and returned. Mel, a native Texan, moved to Nacogdoches in 1990 and graduated from Stephen F. Austin State University in 1994 after acquiring a B.A. in Business Administration. He came to MOT after a 15 year employment in various sales positions. He and his wife Marie have been married 18 years and have two sons, Trey and Scott. Mel enjoys spending time outdoors with his family when he is not selling luxury motorhomes. "The staff at Motorhomes of Texas is outstanding!! 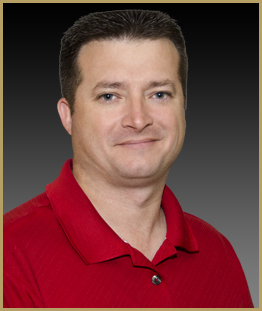 Mel Cordray is without a doubt the best salesperson that we have ever dealt with! We highly recommend MOT to all of our friends!" "We had a wonderful experience dealing with Motorhomes of Texas. From our first contact via the internet, to driving off the property in our new rig, we could not have asked for anything better. Mel was very easy to work with, friendly, and helpful, and he kept us up-to-date throughout our purchase process. Plus, he ensured we were introduced to all the staff members who would be helping us during our purchase and beyond. We know we have a home to take our motorhomes when necessary."